Are You A Fat Sheep? Love a Lost Sheep? He Sees You. 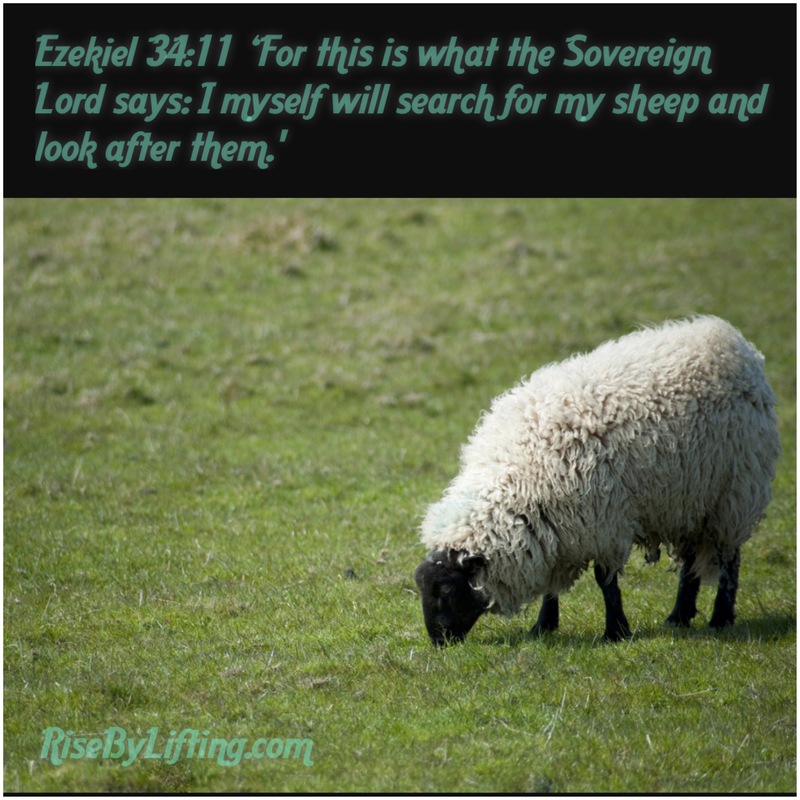 Ezekiel 34:11 “ ‘For this is what the Sovereign Lord says: I myself will search for my sheep and look after them. This piece of scripture wrapped me up like a warm blanket today. It inspired me to dig in context, the entire passage and to see it back to Jesus. God is declaring to Israel, his flock, that he is tending to all of them, even those who are lost, weak, famished, etc. He rescues those weakened, trampled or led astray by pitiful, crooked or lazy leaders. He searches. He finds. The entire scripture of Ezekiel 34 is a powerful prophesy of God’s perfect justice and his deep love for “His”. It served as a warning then, and should also now, of the consequences of selfish behavior and poor leadership. He goes on to speak of a day of justice where he will judge and filter out those that have benefitted at the expense of others. He will uphold the weak. The lost. He sees wicked leaders who “fatten” themselves and don’t lead others to “fatten” also. He has something real special for their selfish efforts. God is judge alone. Our job is to serve his flock. Where we are weak He is strong. He is raising up “Davids” who are not perfect. Sinners actually. Whom He has gathered to become leaders because they know His heart. They have experienced His mercy. He has carried them. They are guided by the Great Shepherd, Jesus. He calls all of us to be servants of His sheep. No exceptions. So many discount the Old Testament in today’s Christianity. I believe the Word of God all points back to Jesus and The Gospel. While this prophecy was for Isreal then, And probably for the last modern age as well, it’s relevant for the entire body of Christ, His Church, you and I, here and now. May His mercy and grace clothe you in royal robes today. Previous Post Thankful He Hears Me.